A couple of weeks ago while driving through downtown Tulsa I noticed a motorcycle in a window. 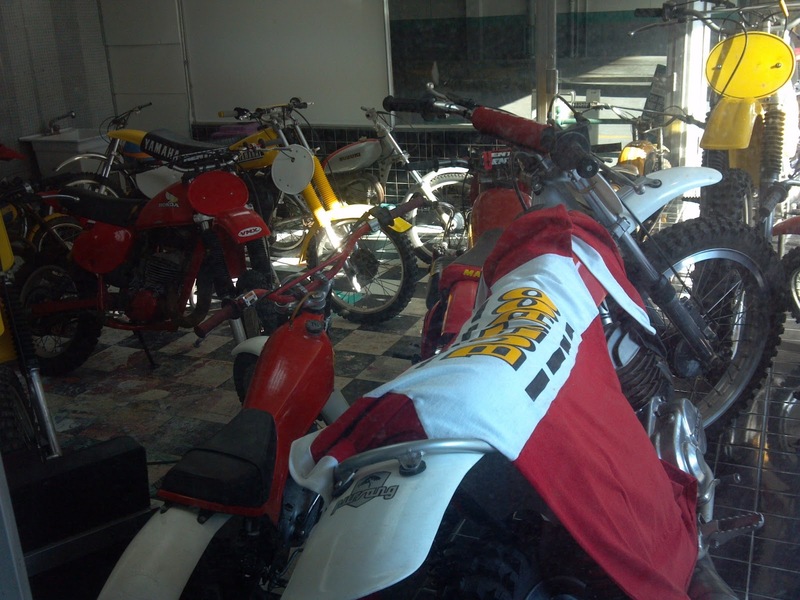 This vintage motocross Maico was sitting inside a display window. 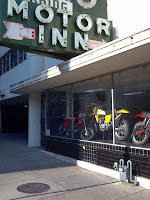 The main reason I noticed it was the fact it's in one of my favorite Tulsa buildings- the awesomely cool Mayo Motor Inn. This classic example of Streamline Moderne architecture is essentially unchanged from its original form when it was built in 1950. In fact, it's so cool it was added to the National register of Historic Places in 2008. Yesterday I finally stopped to investigate and discovered the old Maico isn't the only vintage dirt bike on South Cheyenne. A slew of classic Hondas, Yamahas, Suzukis- even a Montesa trials bike are parked inside the tiny storefront. Most of the bikes are in good to excellent condition- but appear to have been ridden. It brought memories of slobbering over motorcycle magazines in Junior High and debating things like monoshocks or two-stroke versus four-stroke. I have no idea who these motorcycles belong to. And I can't imagine very many people commuting through downtown Tulsa even realize how cool this window display really is. 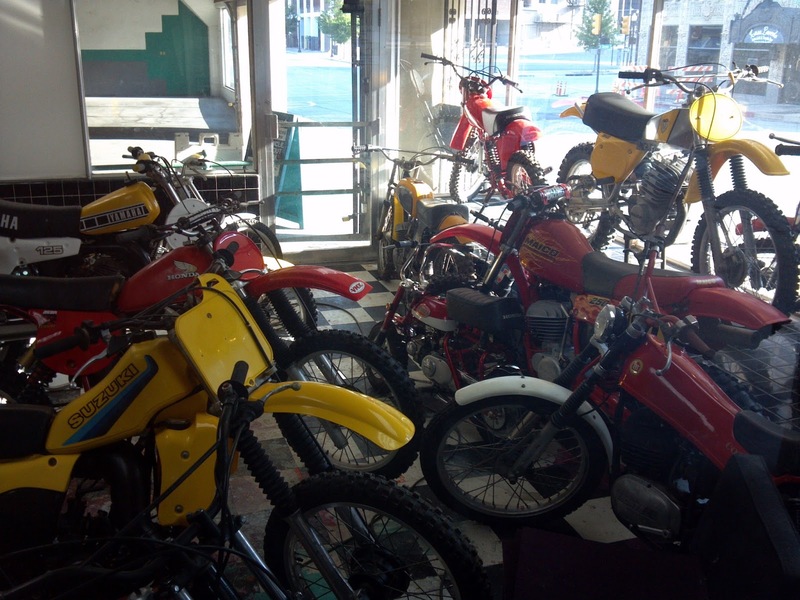 But it's a great collection of motorcycling memories from the Sixties and Seventies. 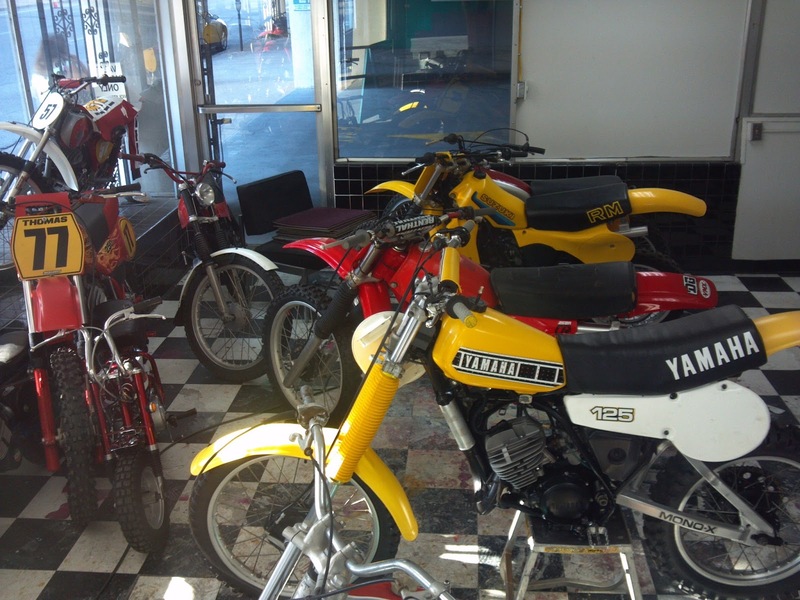 So add this to the list of Oklahoma's motorcycle museums- like Seaba Station in Warwick and Vintage Iron in Miami. Just don't expect any guided tours.